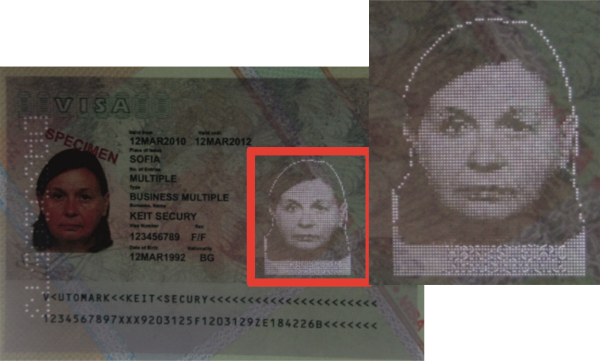 Face image perforation | KEIT ltd.
FaceImage perforation is a document holder photograph made by tiny holes arranged to form an image that is clearly visible when the document is held to the light. It is first line personalized security feature that is easy to verify. The laser perforation does not interfere with the document design. This allows combination of FaceImage perforation and any other security features on the limited space available on the document. 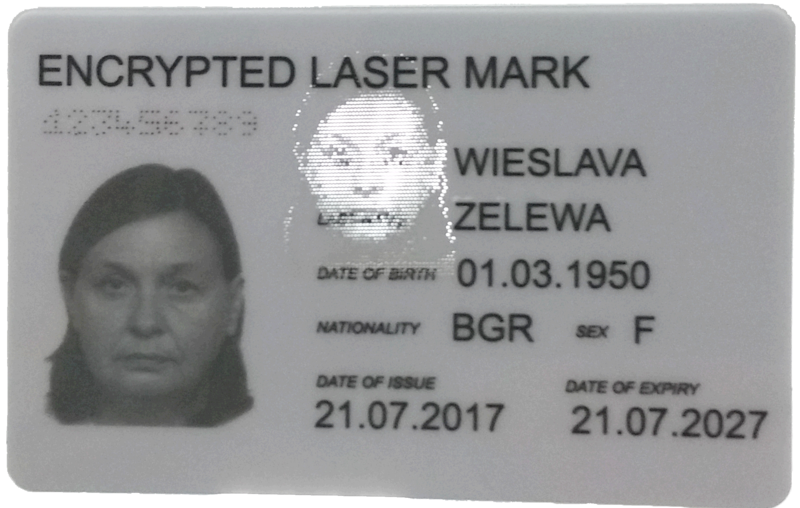 Combining encrypted marking (link) and FaceImage security feature we can achieve even greater security for the document. 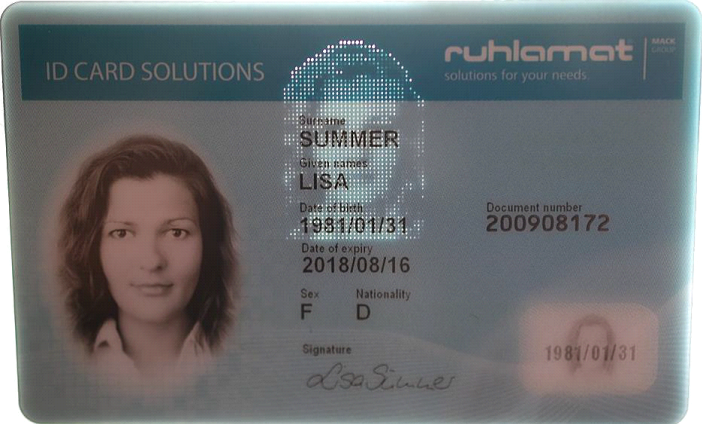 FaceImage security feature can be used for protection of ID cards, Driving licenses, Passports, Visas, Diplomas etc.